Today at homify, we are going to explore some beautiful South African gardens and patios, which will reveal to you just how many incredible options exist when it comes to outdoor areas locally. 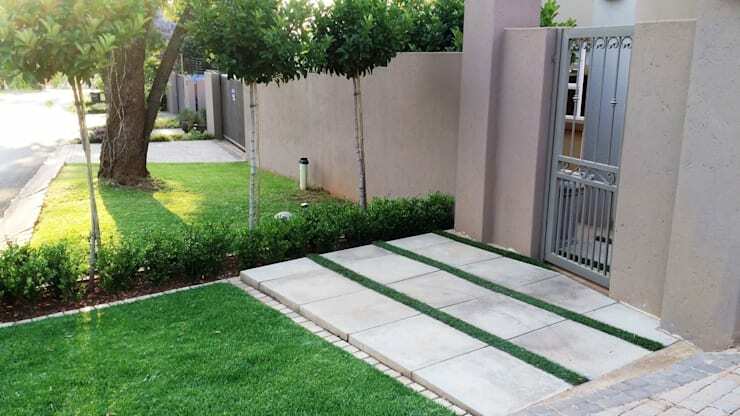 As South Africans, we all know how important our outdoor spaces are. 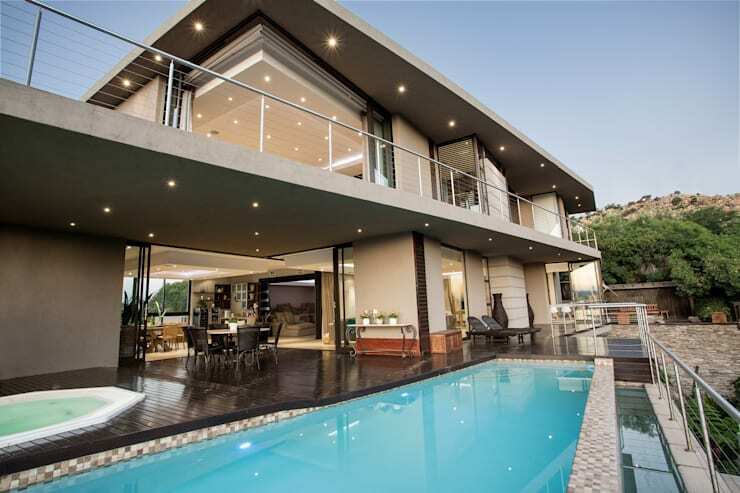 They are where we relax in the summer months with a good book or host a braai with friends. It's where we play with our children in the fresh air and sunshine. It's also where we sun bathe or swim in the pool. This is why it's so important that these spaces are not only aesthetically appealing but that they are functional too. 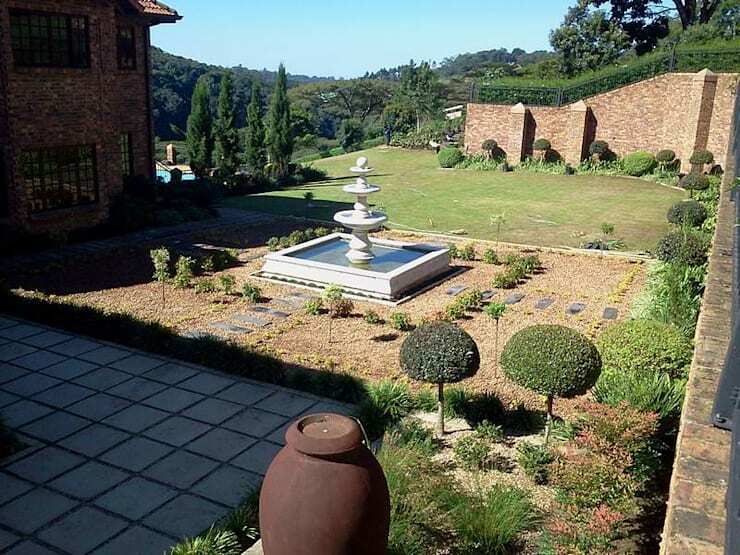 Today we will look at 14 amazing South African gardens and patios and explore the diversity of design. You won't believe how many garden options there are! 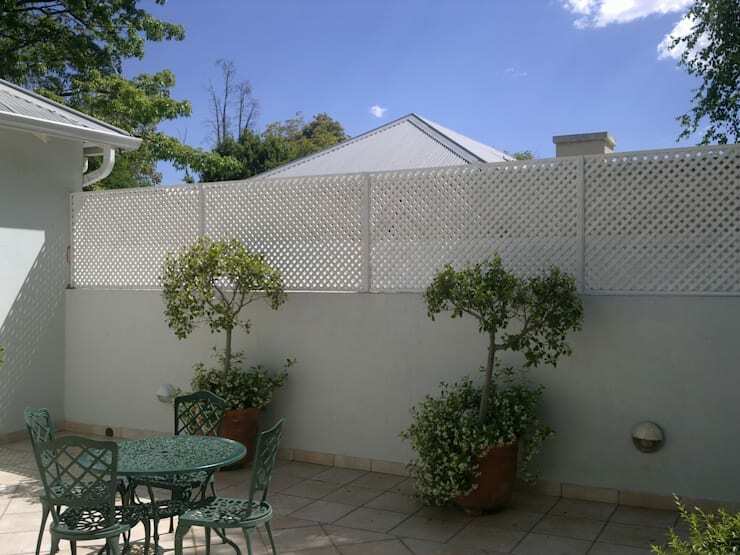 This classic little terrace and garden area features a low wall, with trellis fencing on top. This is a great and functional element as it creates privacy and security without making the outdoor area feel cramped and crowded. The neutral colours in this space are perfectly complemented by the little green trees, which bring together nature and modern design. Tip: Wrought-iron garden furniture makes for a very Victorian style outdoor area. 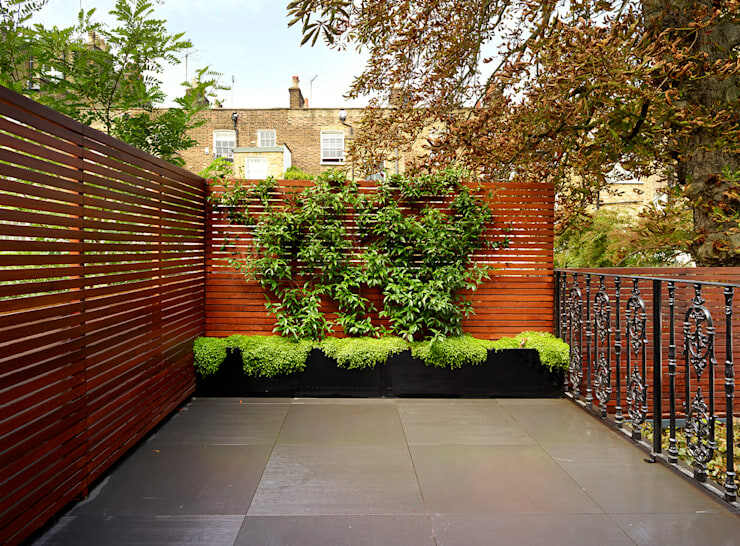 This little outdoor area features chic and stylish wooden fencing, with creepers that run up it. This creates a beautifully modern and refreshing design, where the natural wood and green plants work in harmony with one another. Tip: Choose tiles for the flooring of your outdoor area for a very simple and functional design. Surrounded by a wooden structure that creates little vertical shelves throughout, this little terrace is an isolated space where you can truly enjoy being in the fresh air and sunshine. The shelves allow for personal items, flowers and lanterns to be put on display. Even your outdoor area should have some personality and charm! Whether you're furnishing a garden or a terrace, opt for durable and high quality furniture that as comfortable as it is stylish. In this design, we can see how the wooden furniture is topped with cushy and cosy blue pillows. These can be moved inside when the owners of the house aren't using this outdoor space. Remember that your furniture should last in all weather conditions! Lighting plays a huge role in exterior design, as we can clearly see in this image by professionals Garden Club London. 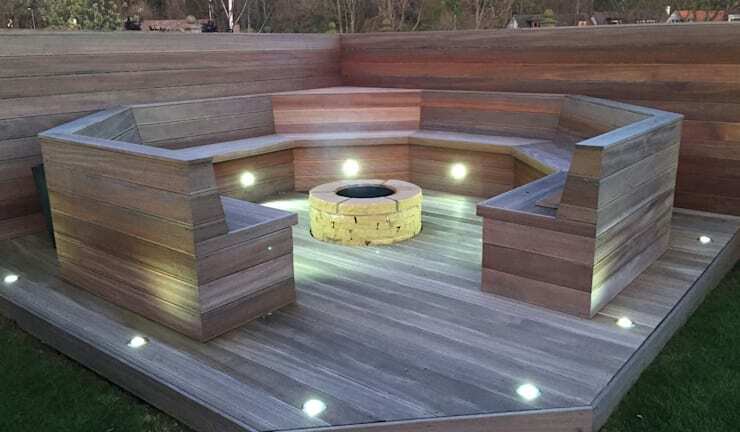 This is another great example of how sophisticated and stylish wood is when it comes to an outdoor space. It's natural, giving the area a slightly rustic look and feel, but can still look incredibly contemporary and clean. 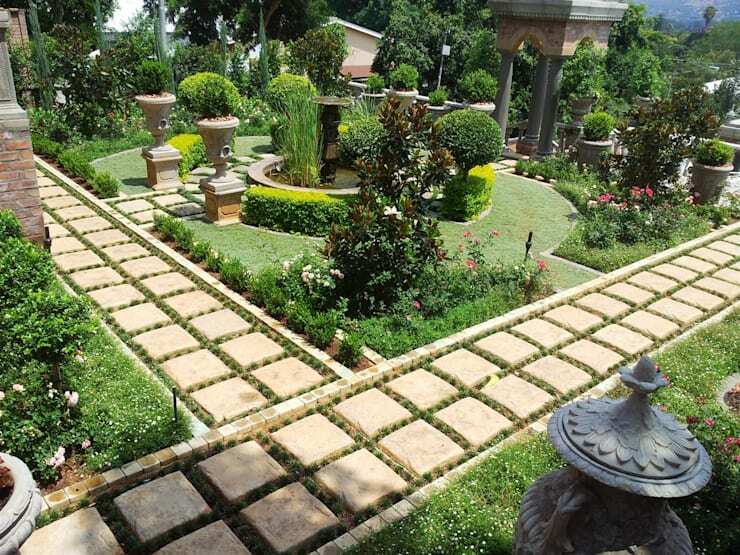 This design by Paul's Plantscapes shows just how exotic an outdoor space can be. The pond, wooden bridge, rocks and plants all work together to pack quite a visual punch. You'd feel like you were in the middle of the country in a garden like this! 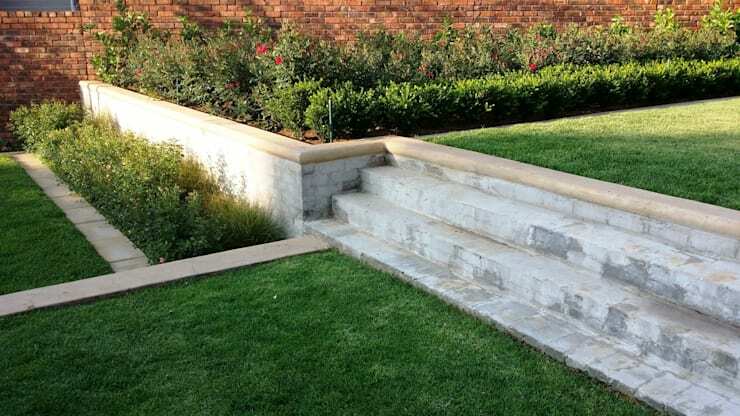 This is another great example of how savvy water features can be in the outdoor space. They have a soothing sound and make for a very peaceful and tranquil environment. Don't forget the swimming pool! 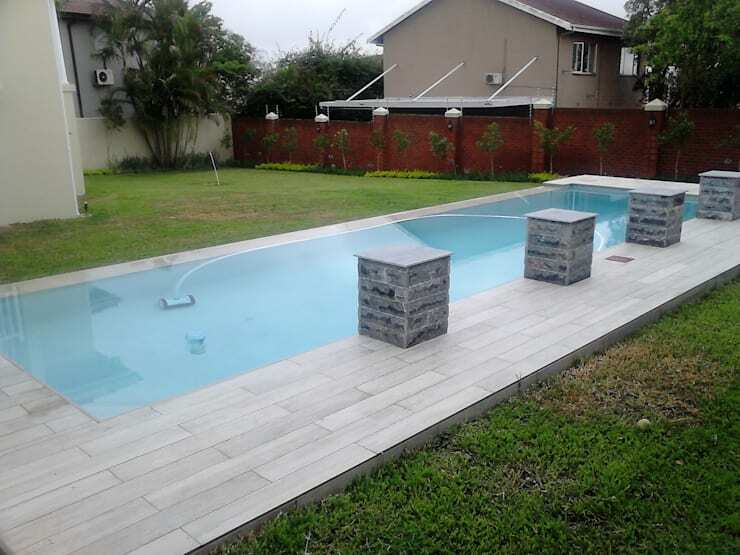 Some outdoor areas in South Africa aren't complete without a place to have a refreshing dip. If you have the space or if your garden is on a slope, don't be afraid to go for a layered or stepped approach like the designers have done here. As we've seen in some examples before, a garden path can be a beautiful and functional addition to an outdoor space. It adds a very charming quality to a garden, while leading family and friends right up to the house. Your front garden is just as important as the back garden, giving people a wonderful first impression of your home. We are lucky enough to live in one of the most beautiful countries in the world so make sure that your garden capitalises on the surrounding views and landscapes. 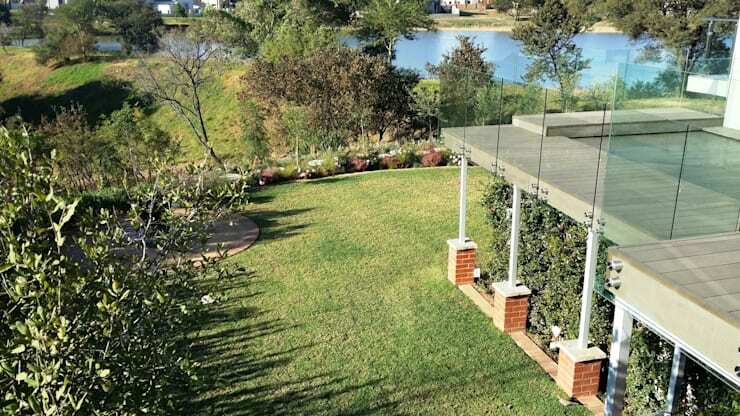 Don't you love how this outdoor space seems to blend into the river beyond it? 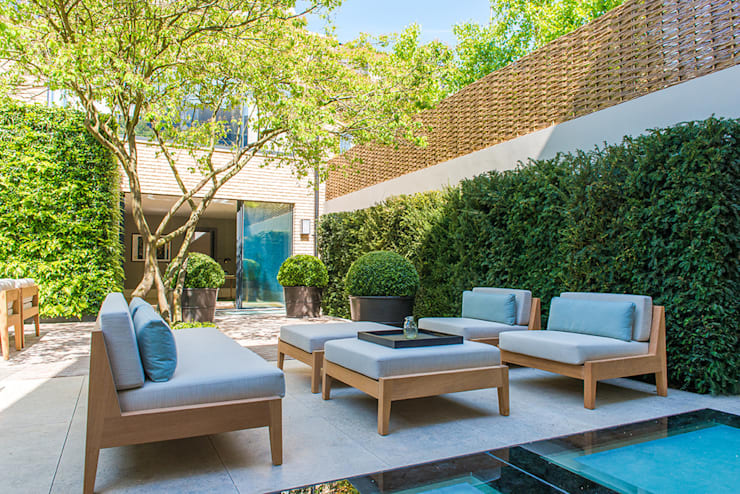 Don't be afraid to really make the most of your garden and terrace with a modern and cutting-edge design. It's your home after all! If you've enjoyed this article, you'll love this one too: 12 mouth-watering modern South African patio and garden ideas. Which is your favourite outdoor space?